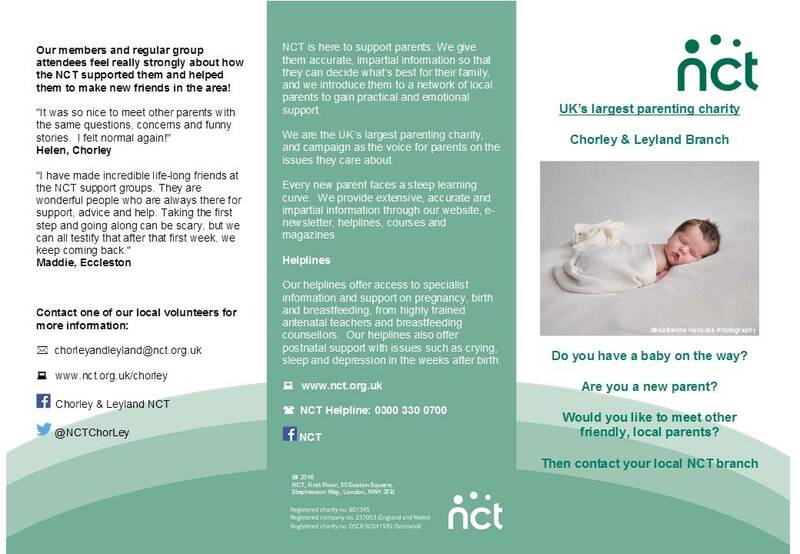 Run by local parents in and around Chorley & Leyland, we offer support, information and friendship to new parents and parents-to-be. We are a friendly, welcoming bunch of volunteers based around Chorley and Leyland; we’re here to provide parents with practical support, friendship and information from the first days of pregnancy to the first 1000 days of parenthood. We do that by organising and holding events every week where parents-to-be, parents and their children can meet up and join in or access services that we provide. We are all parents and we’ve all been there; whether it’s coping with the effects of pregnancy or those interrupted nights, or whether it’s finding something to entertain the kids or bagging a bargain at one of our Nearly New Sales; we offer friendship and support through it all. We are not superwomen: we’re ordinary people, fitting volunteering around our families, jobs and hobbies. We all got involved after we used the NCT services ourselves, some of our children are now teenagers, and some of us have shiny brand new babies. We don’t meet anywhere inaccessible; we don’t have offices, we organise events via our Facebook page and get together regularly in each other’s houses, local pubs, supermarket cafes or play centres. We have been known to meet up socially (without the children!) and also organise family walks around the area all year round. We also meet up to organise the branch: everyone is welcome to join, please turn up either to have a nosy, or to let us know if you want to volunteer your time, as little or as much as you wish to. As well as our meetings we have a busy sling library that meets regularly and offers practical support and guidance, as well as the hire of slings and carriers. Our Nearly New Sales are rated as Gold Standard and take place twice a year, we pride ourselves on the high standard of our sales, from organisation to quality of goods. 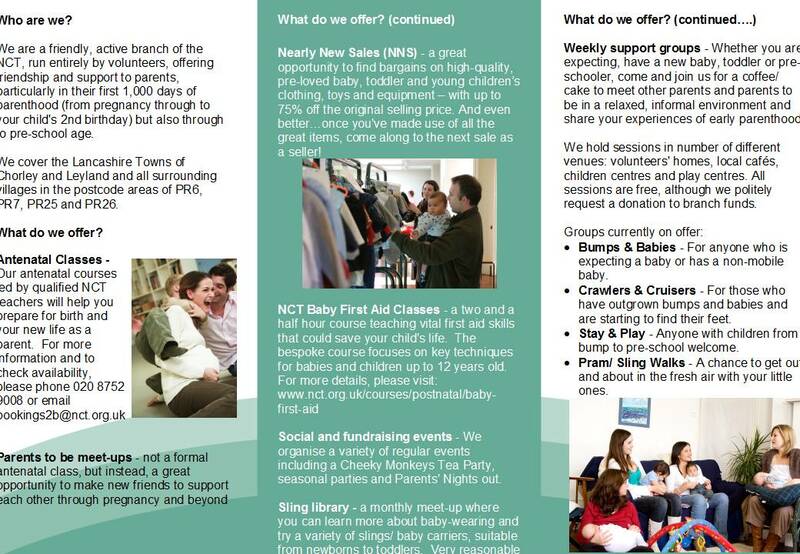 We also support the NCT Baby First Aid courses across the area, providing parents with essential life-saving skills.